The Austrian City Schärding on the Inn River, right on the border of Germany, had the whole city illuminated with a multimedia spectacular during the winter season. The bridge crossing the Inn was illuminated as well as the monastery and the water front. 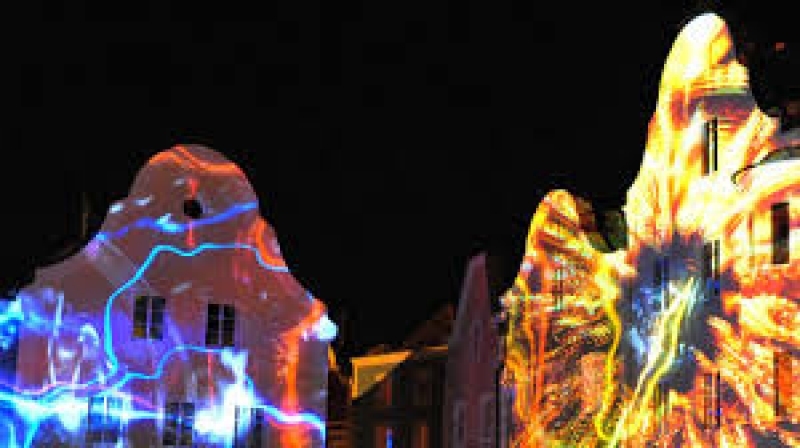 But it was not only conventional illumination effects that lit up Schärding: The whole city center was covered with a multimedia projection, the facades of the buildings were covered with video mapping and video projections and the orchard was covered with laser projections. Besides that, multiple information projections were displayed alongside the loop road in the city center. HB-Laser, a company that specializes in multimedia and laser projects, set up the whole show installation. The video projections in the city center were done with six video projectors, all controlled with two special Titan multimedia workstations. To be able to cover the whole place, a small tower was custom built for this project. 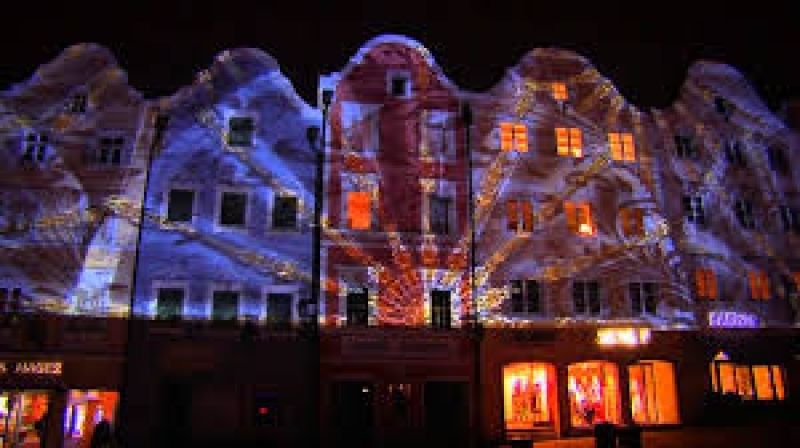 The whole multimedia project was titled “Winterzauber in Schärding am Inn” and “Lichtspiele Schärding / Neuhaus” and was organized by the tourist agency of Schärding. HB-Laser was the contracted partner for the whole multimedia project. The next “Lichtspiele” has already been announced for November 2015.